Each formula included in the book to halve the number of buyers. 5. Vatutin E.I., Chevychelov S.Yu., Ignatenko N.M. Program for calculating the amplitude of the acoustic signal generated by the alternating magnetic field in magnetically ordered composites with solid and liquid matrices (in Russian) // Certificate of official registration of the computer software № 2008611513 from 25.03.08. 8. Vatutin E.I., Zotov I.V. Parallel-sequential Method for Getting Separations of Parallel Logic Control Algorithms (in Russian) // Certificate of official registration of the computer software № 2005613091 from 28.11.05. 14. Vatutin E.I., Zotov I.V. Visual environment for getting separations of parallel logic control algorithms (in Russian) // Certificate of official registration of the computer software № 2007613222 from 30.07.07. 23. Vatutin E.I., Zotov I.V., Titov V.S. et al. Combinatorial-logic problems of getting separations of parallel logic control algorithms during logic multicontrollers design (in Russian) / Kursk: Kursk State Technical University, 2010. 200 p. ISBN 978-5-7681-0523-5. 24. Vatutin E.I. Logic multicontrollers design. Getting separations of parallel graph-schemes of algorithms (in Russian). Saarbrucken: Lambert Academic Publishing, 2011. 292 p. ISBN 978-3-8433-1728-3. 30. Vatutin E.I. Library of Functions for Getting Separations Using S.I. Baranov Method with Greedy Consecutive Forming of Blocks (in Russian) // Certificate of official registration of the computer software № 2010612902 from 28.04.10. 31. Vatutin E.I., Valyaev S.Yu. Computing unit for getting separations of parallel logic control algorithms using volunteer computing (in Russian) // Certificate of official registration of the computer software № 2013618013 from 28.08.13. 32. Vatutin E.I., Titov V.S. Library of functions for getting separations with using adjacent greedy strategy and consecutive forming of blocks (in Russian) // Certificate of official registration of the computer software № 2013619395 from 03.10.13. 46. Vatutin E.I., Titov V.S. 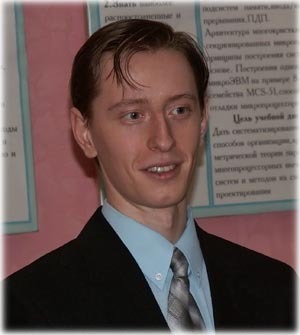 Library of functions for getting separations of parallel graph-schemes of algorithms using random search method (in Russian) // Certificate of official registration of the computer software № 2015618917 from 20.08.15. 53. Vatutin E.I., Panishev V.S., Gvozdeva S.N. Program for getting separations of graph-schemes of parallel logic control algorithms using weighted random search method (in Russian) // Certificate of official registration of the computer software № 2018611362 from 01.02.2018. Patent Russia Federation № 2336556, МПК8 G06F9/28, G06F15/173, G06F1/10. Microcontroller network (in Russian) / Volobuev S.V., Zotov I.V., Krikunov O.V., Najajra M.H., Vatutin E.I. from 20.10.2008. Patent Russia Federation № 2359320, МПК8 G06F15/163. Module for messaging (in Russian) / Zotov I.V., Abdel-Jalil J.N., Vatutin E.I., Volobuev S.V., Krikunov O.V., Najajra M.H. from 20.06.2009. Patent Russia Federation № 2360283, МПК8 G06F15/163, H03K17/00. Switching module with parallel-pipelined processing and broadcasting of messages (in Russian) / Krikunov O.V., Najajra M.H., Zotov I.V., Borzov D.B., Vatutin E.I., Volobuev S.V. from 27.06.2009. Patent Russia Federation № 2371766, МПК8 G06N7/00, G06F17/00. Device for the study of graphs (in Russian) / Vatutin E.I., Zotov I.V. from 27.10.2009. Utility patent Russia Federation № 127872. Subscriber entering the heating system of the building (in Russian) / Zarubin A.N., Fedorov S.S., Vatutin E.I., Kobelev N.S. from 06.12.2012. Utility patent Russia Federation № 157948. Device for the matrices multiplication (in Russian) / Vatutin E.I., Martynov I.A., Titov V.S. from 08.07.2015. 4. Vatutin E.I. Library of classes for sets processing with SIMD-optimization (in Russian) // Certificate of official registration of the computer software № 2007614221 from 03.08.07. 5. Vatutin E.I. SIMD-optimization of sine function calculation using Taylor series (in Russian) // Certificate of official registration of the computer software № 2007614222 от 03.08.07. 6. Vatutin E.I., Miroshnichenko S.Yu., Degtyarev S.V., Titov V.S. SIMD-optimized version of Sobel operator (in Russian) // Certificate of official registration of the computer software № 2008611514 from 25.03.08. 11. Vatutin E.I. Program for numerical solution of the N-body problem with SIMD-optimization (in Russian) // Certificate of official registration of the computer software № 2013619781 from 15.10.13. Vatutin V.I., Vatutin E.I., Romanchenko A.S. Automation of scheduling in KurskSTU (in Russian) // Modern problems of higher professional education. Kursk, 2010. Part 1. P. 28–30. Vatutin V.I., Vatutin E.I. 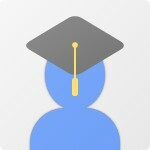 The software package for the automation of the training department of the university (in Russian) // Intellectual and information systems. Tula, 2011. P. 20–21. Vatutin E.I., Bobyntsev D.O., Romanchenko A.S. Program for greedy construction of the schedule of studies of the university (in Russian) // Certificate of official registration of the computer software № 2013618554 from 11.09.13. Vatutin E.I., Bobyntsev D.O., Romanchenko A.S. The method of constructing a greedy university schedule with a random order of consideration of the study groups and the improvement of the neighborhood of the current pair (in Russian) // Certificate of official registration of the computer software № 2013619101 from 25.09.13. Vatutin E.I. The automated software system for testing students' knowledge in the discipline «Programming with Delphi» (in Russian) // Certificate of official registration of the computer software № 2007610411 from 24.01.07. Vatutin E.I., Симонова Ж.Г. The automated software system for testing students' knowledge of English «Modal verbs» (in Russian) // Certificate of official registration of the computer software № 2007612055 from 22.05.07. Zotov I.V., Vatutin E.I., Borzov D.B. Procedure-oriented programming with С++ (in Russian). Kursk, 2008. 211 p. ISBN 978-5-7681-0356-9. Vatutin E.I. et al. Procedure-modular programming with Delphi (in Russian). Moscow: Argamac-Media, 2014. 352 p. ISBN 978-5-00024-020-5. Posypkin M., Vatutin E., Kurochkin I., Khrapov N., Ivashko E., Zaikin O., Andreev A., Afanasiev A. The activity of Russian chapter of international desktop grid federation // Distributed computing and grid-technologies in science and education: book of abstracts of the 6th international conference. Dubna: JINR, 2014. p. 46. Kurochkin I.I., Posypkin M.A., Andreev A.A., Vatutin E.I., Zaikin O.S., Putilina E.V., Manzuk M.O. The activity of Russian chapter of international desktop grid federation // Distributed computing and grid-technologies in science and education (GRID’16): book of abstracts of the 7th international conference. Dubna: JINR, 2016. p. 36. Vatutin E.I., Valyaev S.Yu., Dremov E.N., Martynov I.A., Titov V.S. 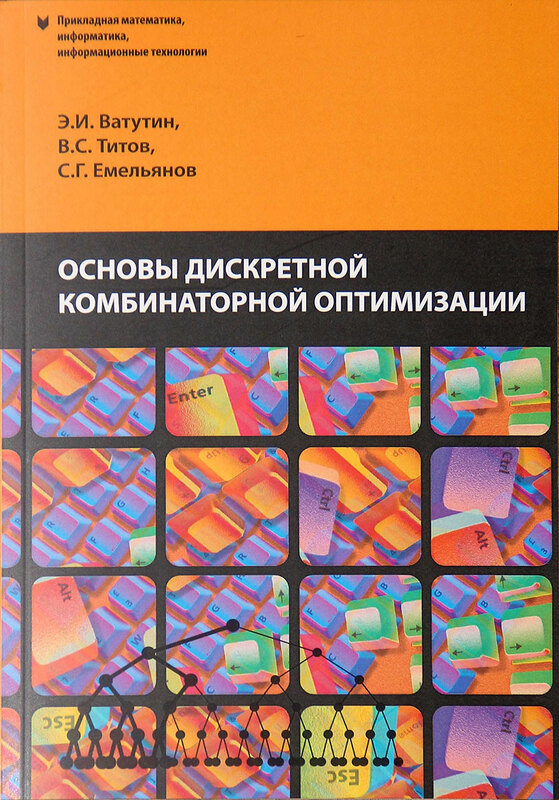 Computing unit for testing combinatorial optimization algorithms at the shortest path problem using volunteer computing (in Russian) // Certificate of official registration of the computer software № 2014619797 from 22.09.14. Vatutin E.I., Titov V.S., Zaikin O.S., Zhuravlev A.D., Manzuk M.O., Kochemazov S.E., Fedorov S.S. Program for recurrent enumerating of diagonal Latin squares of selected order using brute force approach and its modifications (in Russian) // Certificate of official registration of the computer software № 2016662287 from 07.11.16. Vatutin E.I., Titov V.S., Zaikin O.S., Zhuravlev A.D., Manzuk M.O., Kochemazov S.E. Program for getting diagonal Latin squares of selected order using heuristic methods (in Russian) // Certificate of official registration of the computer software № 2016662288 from 07.11.16. Kochemazov S.E., Vatutin E.I., Zaikin O.S. Fast Algorithm for Enumerating Diagonal Latin Squares of Small Order // arXiv:1709.02599 [math.CO], 2017. 31 p.
Vatutin E.I., Zaikin O.S., Kochemazov S.E., Manzuk M.O. Program for getting transversals set for diagonal Latin squares and getting orthogonal squares using Brute Force approach (in Russian) // Certificate of official registration of the computer software № 2018610473 from 11.01.2018. Vatutin E.I., Zaikin O.S., Kochemazov S.E., Manzuk M.O. Program for getting symmetric diagonal Latin squares using Brute Force approach (in Russian) // Certificate of official registration of the computer software № 2018610493 from 11.01.2018. List of the combinatorial structures from DLSs of orders 1—8 on orthogonality relationship set (rus, eng). List of the combinatorial structures from DLSs of order 10 on orthogonality relationship set (rus, eng). Vatutin E.I., Valyaev V.V. The program for building supposing full polinomial invarianl of graph and checking pair of graphs for isomorphism (in Russian) // Certificate of official registration of the computer software № 2013618656 from 13.09.13. Vatutin E.I. The program for testing correctness of methods for graph isomorphism checking (in Russian) // Certificate of official registration of the computer software № 2013619188 from 26.09.13. Vatutin E.I. The program for building classes of isomorphism and testing correctness of methods for graph isomorphism checking based on it (in Russian) // Certificate of official registration of the computer software № 2013619186 from 26.09.13.